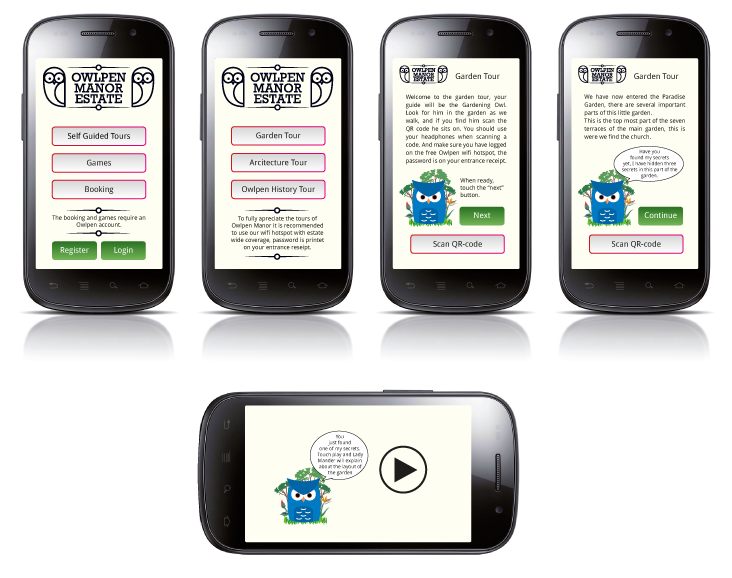 For this project we made our own briefs based on our research, I will not go into detail of the research I did. I looked into Manor Houses and Castles, mainly in Europe. 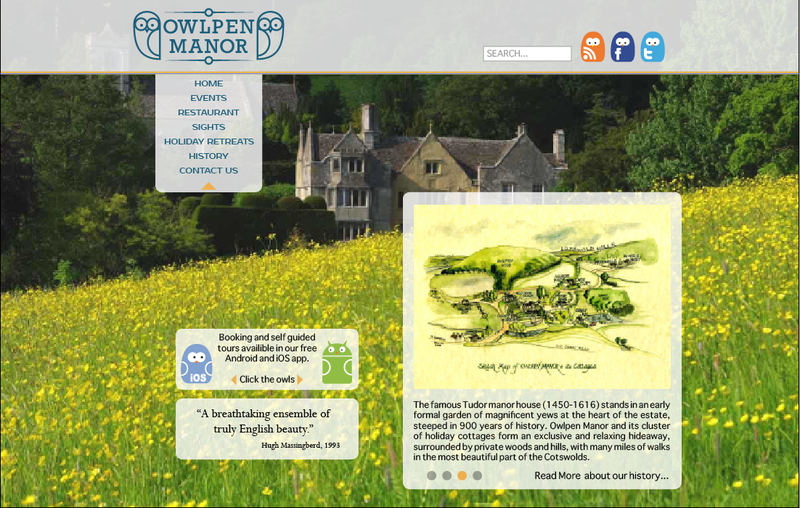 For my brief I chose to work on redesigning and create some new materials for Owlpen Manor in UK, this Manor is successful, but it has outdated designs and could very well need a freshening up on their image. Lets hope they chose to actually do that in the near future. I found from their existing website that the manor have a very interesting history, a nice garden and the whole estate is well kept by its owners. It´s even some nice ghost stories for some of the buildings on the estate. All this together with my research findings made the basis for my designs, as well as the lack of imagery and the overwhelming amount of information on the website. 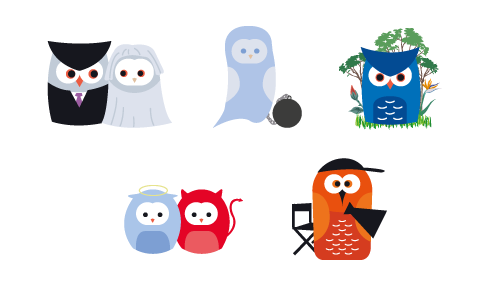 I made some Owl designs, that could be used on different marketing materials, and also as merchandise. I did an modern website, an booking and guide app. And of course a new logo. I really think you should visit their site and look at their interesting history and especially the ghost stories.